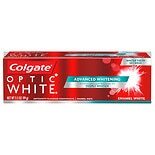 Shop Colgate Optic White Advanced Whitening Toothpaste, Enamel Luminous Mint (3.5 oz. )3.5 oz. 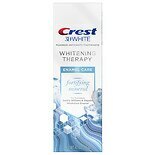 Shop Crest 3D White Whitening Therapy Enamel Care Toothpaste (4.1 oz. )4.1 oz.